The Benedict XVI Institute is proud to announce The Mass of the Americas, the newly composed twinned tribute to Our Lady of Guadalupe and Our Lady of the Immaculate Conception which premiered in San Francisco December 8, will be going on an international Marian unity tour. 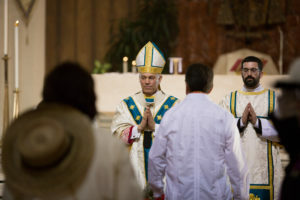 The unity tour begins on February 28, 2019 in Tijuana, at a Mexican national liturgy conference hosted by Archbishop Moreno of Tijuana. Archbishop Salvatore Cordileone will concelebrate the Mass. More cities are being added monthly. Background: What is the Mass of the Americas? The Mass of the Americas is a newly composed Mass in the great sacred music tradition of the Catholic Church. It is an intertwined tribute to Our Lady of Guadalupe (patroness of Mexico and all the Americas) and Our Lady of the Immaculate Conception (patroness of the United States). It is written for a 16-voice choir (plus organ, string quartet, bells and marimba) in Spanish, Latin, English and Nahuatl, the language in which Our Lady of Guadalupe spoke to San Juan Diego. It elevates traditional Mexican folk hymns to Mary (especially La Guadalupana) into the highest sacred music traditions of the Church. 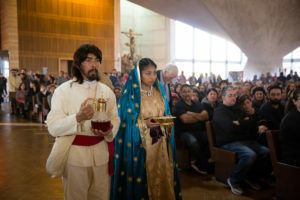 The Mass was first celebrated on December 8, 2018 in San Francisco. We are about to launch a national Marian unity tour. First, the Mass of the Americas will unite the Anglo and Latino Catholic communities, which operate in Dallas as in most places, in all-two-separate silos. A reception for supporters of the Mass afterward will offer donors, leaders, and influential in both communities to meet and mingle with Archbishop Cordileone, composer Frank La Rocca and with each other. Second, the Mass of the Americas will help renew the great Catholic sacred music tradition, showing this is not a dead tradition but one still produces great and glorious fruit. All of the great “classical” music Masses that are now performed in concert halls were born in the bosom of the Church. 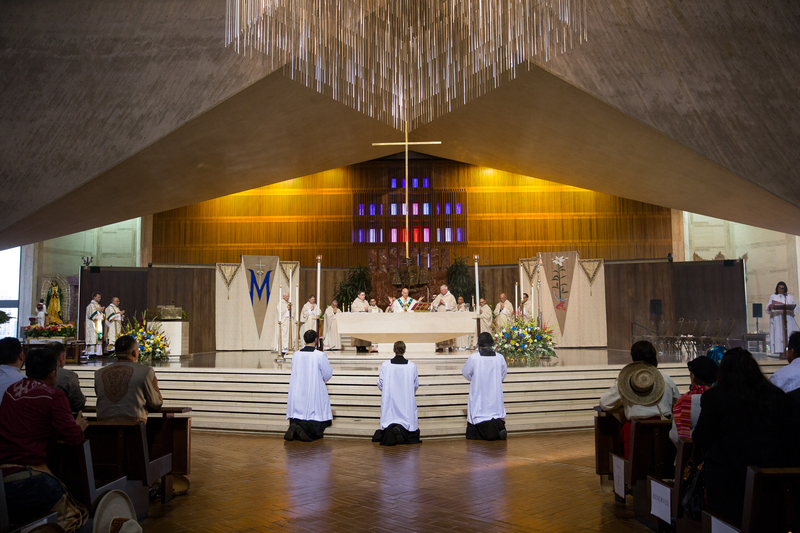 The Mass of the Americas will inspire future composers, artists, and liturgy lovers. “I was ecstatic. It took everything within me at times to keep from breaking down weeping. You get the sense that something truly holy was happening there.” Archbishop Salvatore Cordileone to the Catholic Herald. 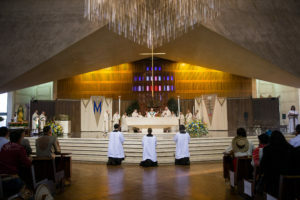 “A new Mass setting…is a sign of hope: a reminder that tradition is something vital, even dynamic.” Michael Warren Davis, editor Catholic Herald U.S.
“This is what a flourishing religious culture looks like – piety being lifted up and sublimated in the actual liturgy of the Church.” Professor and Poet James Matthew Wilson.